Everything looks good, right? Well, we almost had no muffins. I had everything I needed, which is part of the reason I wanted to make this from my dad’s list. 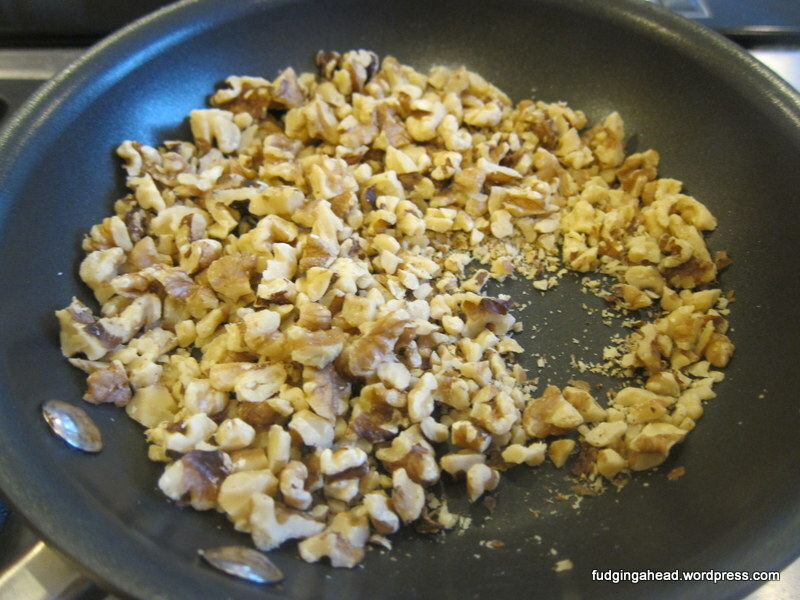 I keep walnuts in my freezer (they come up in enough recipes and keep for awhile in there), and I even had oranges to zest since the Fudgelet has been going nutty for them–haha, slight pun intended. 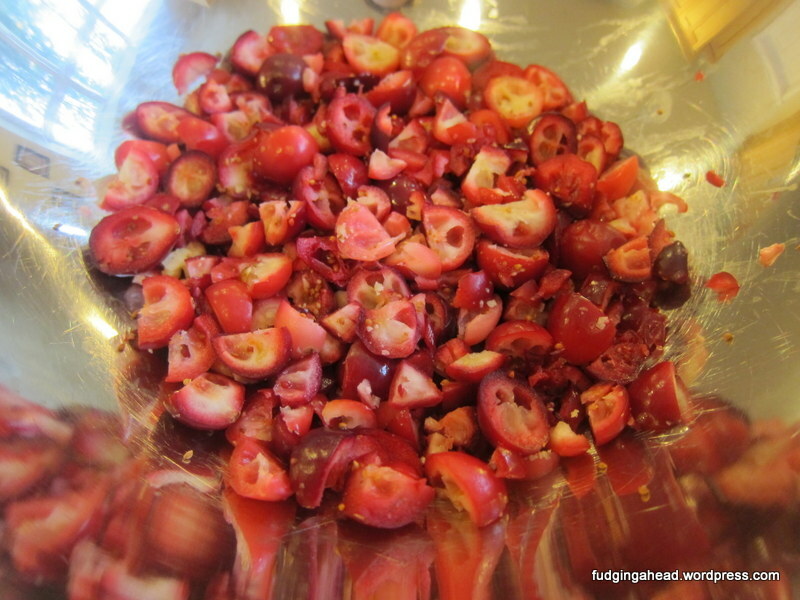 I thought I had some cranberries, which I did, but knew I might need more. No big deal. I ended up tossing my old ones because they didn’t seem as fresh as they should be. Even better than finding them was finding the store-brand frozen cranberries which turned out to be even better quality than the normal brand I am stuck buying. Yay! 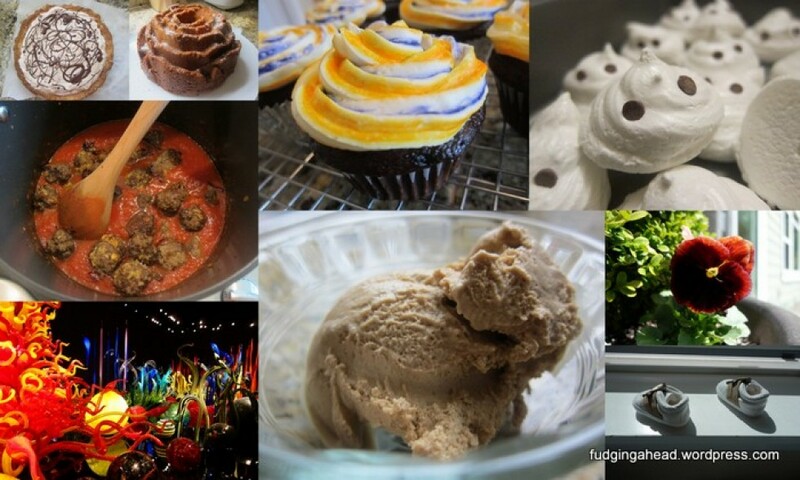 But really, these were still so easy to make. 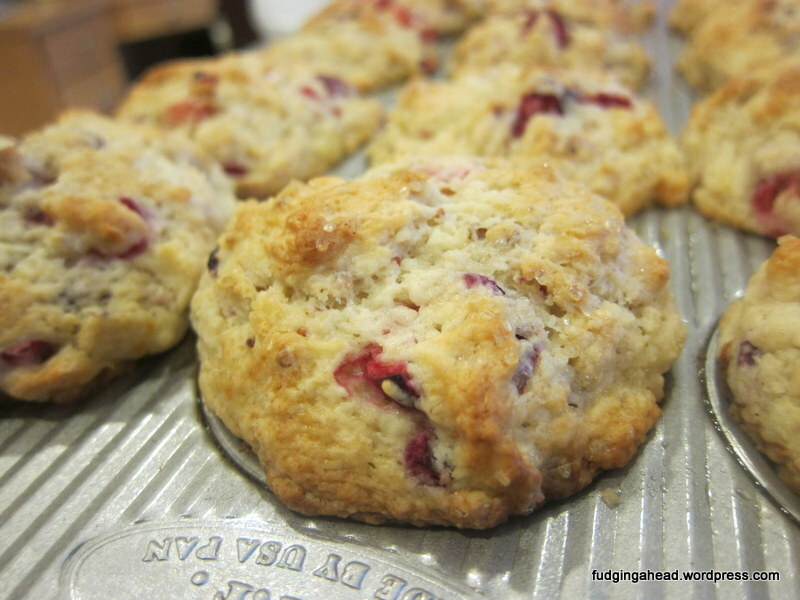 Finding cranberries isn’t necessarily a pain, and once you find a store that has them year-round, you’re set. Now, go make these muffins! Or at least go get your necessary supplies. 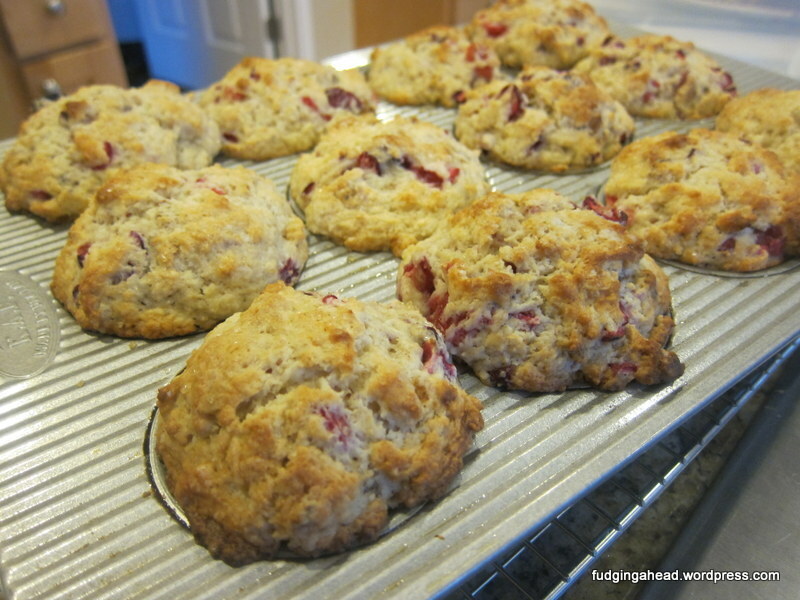 Grease a standard muffin pan and preheat the oven to 375 degrees. 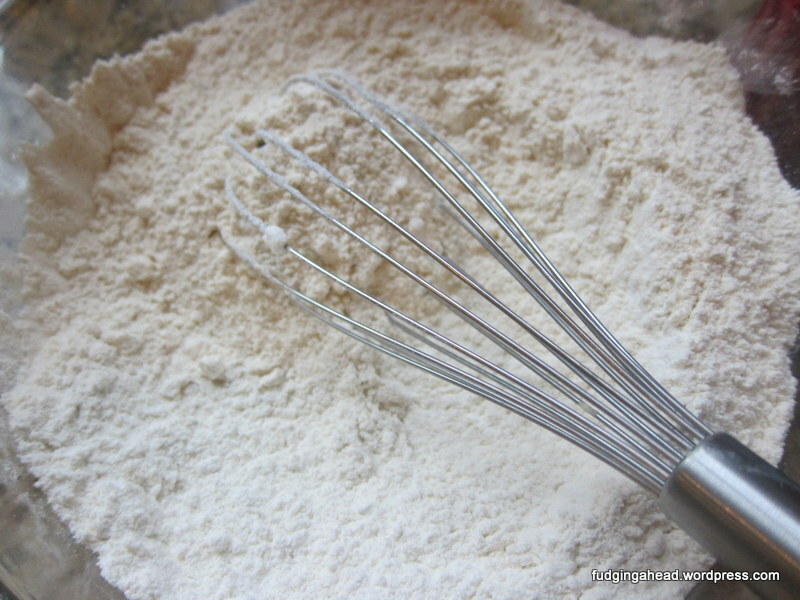 In a large bowl, whisk together the flour, sugar, baking powder, baking soda, and salt. In a medium bowl, whisk together the yogurt, orange zest, and both eggs until smooth. 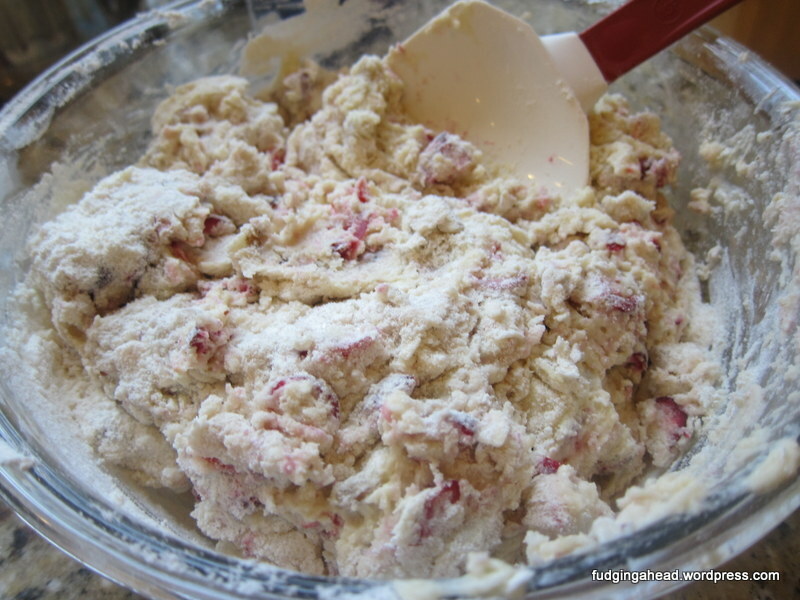 Fold the yogurt mixture into the flour mixture until just barely combined. Then fold in the melted butter, cranberries, and walnuts. 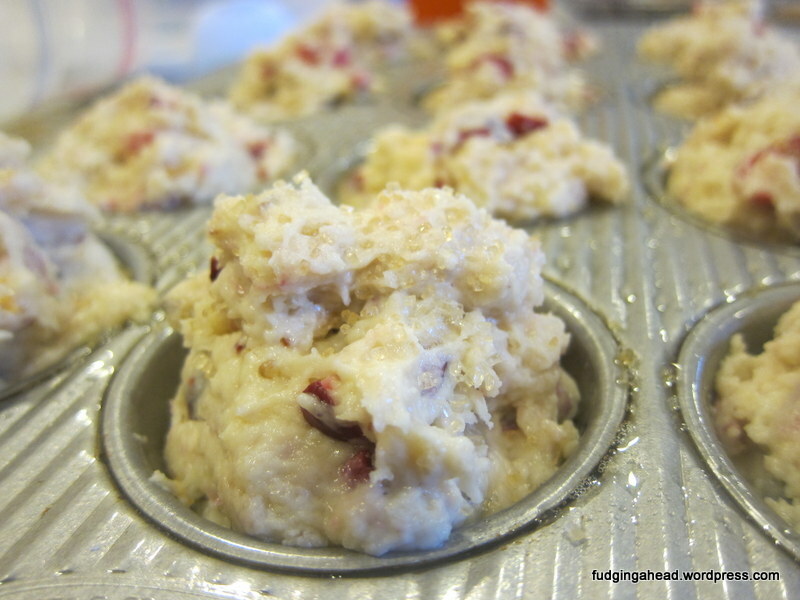 When everything is combined, use a 1/3 cup measuring cup to help portion out the muffin batter into the muffin pan. Or, use a muffin scoop if you have one. 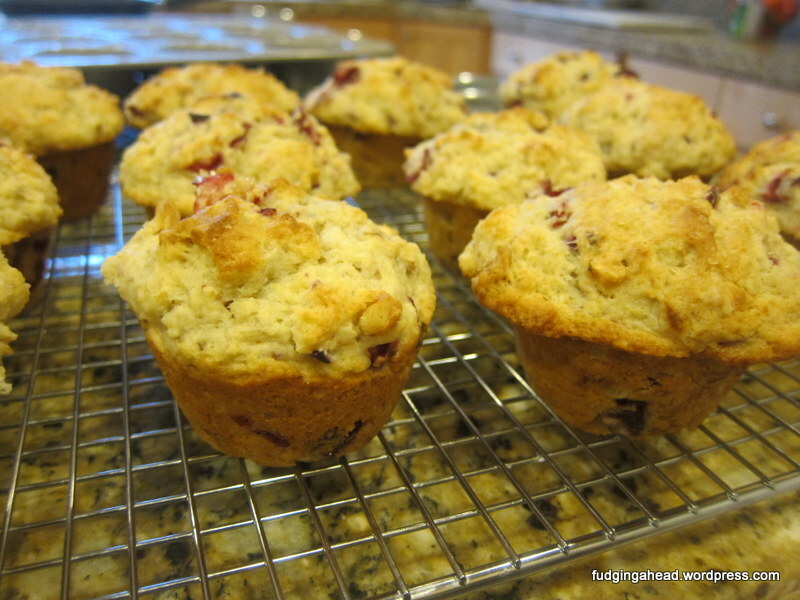 Whatever batter remains after filling each muffin well, divide evenly among the muffins. Top each muffin with a bit of turbinado sugar, if desired. Bake until a toothpick or cake tester comes out with a few crumbs attached, about 25 minutes. Rotate the pan halfway through baking, and feel free to check the muffins starting closer to 20 minutes, just in case. Let the muffins cool in the pans for about 5 minutes until you can handle them easily, then flip them out onto a wire rack to cool for 10 minutes before serving. 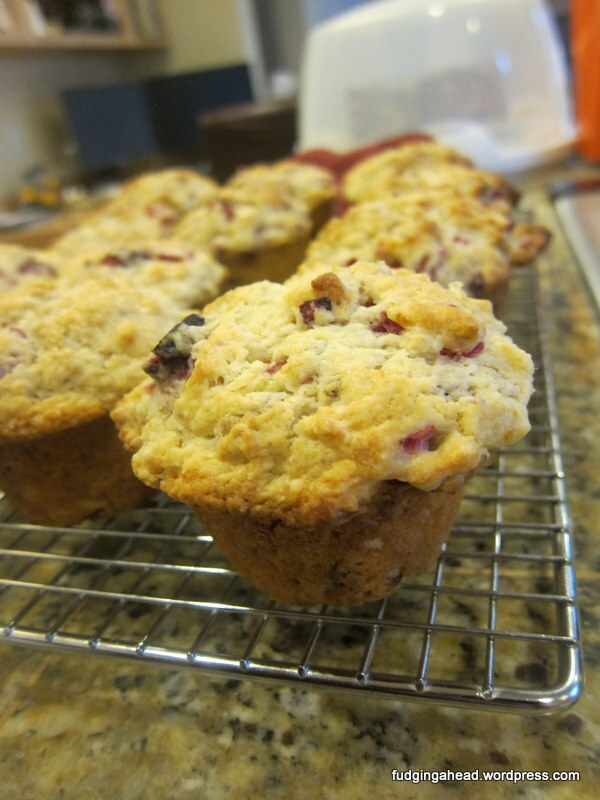 They do freeze well, if you cannot eat 1 dozen muffins quickly enough. 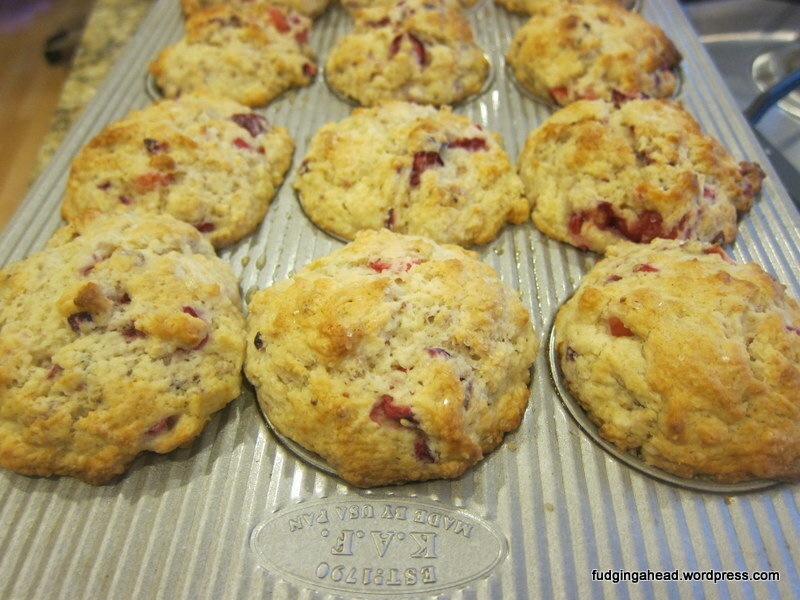 Grease a standard muffin pan and preheat the oven to 375 degrees. 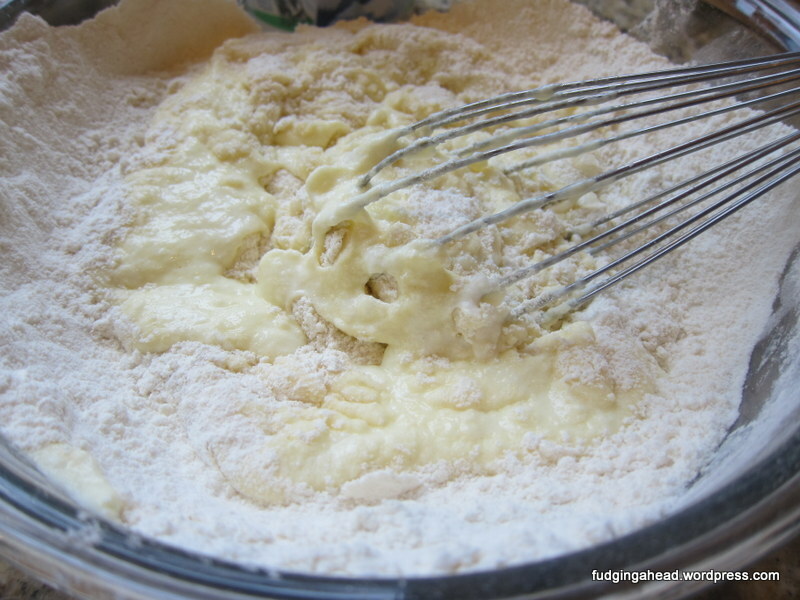 In a large bowl, whisk together the flour, sugar, baking powder, baking soda, and salt. In a medium bowl, whisk together the yogurt, orange zest, and both eggs until smooth. 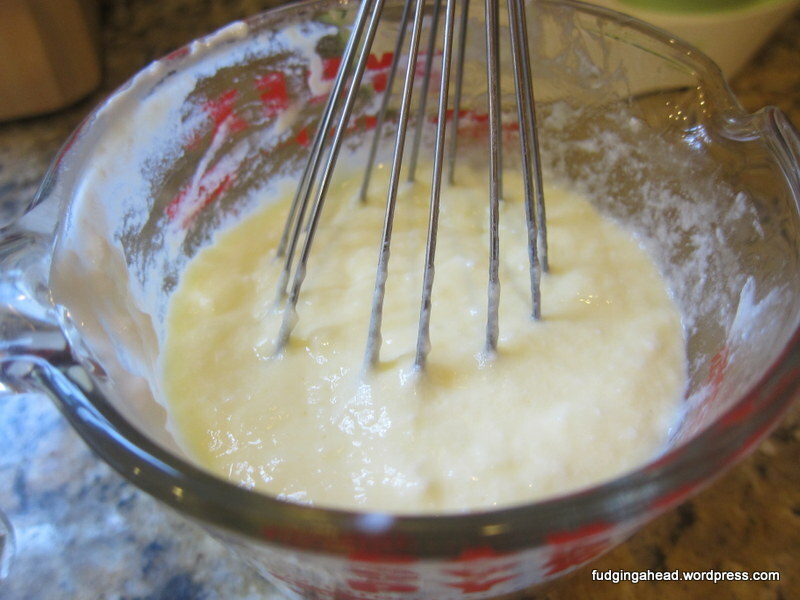 Fold the yogurt mixture into the flour mixture until just barely combined. 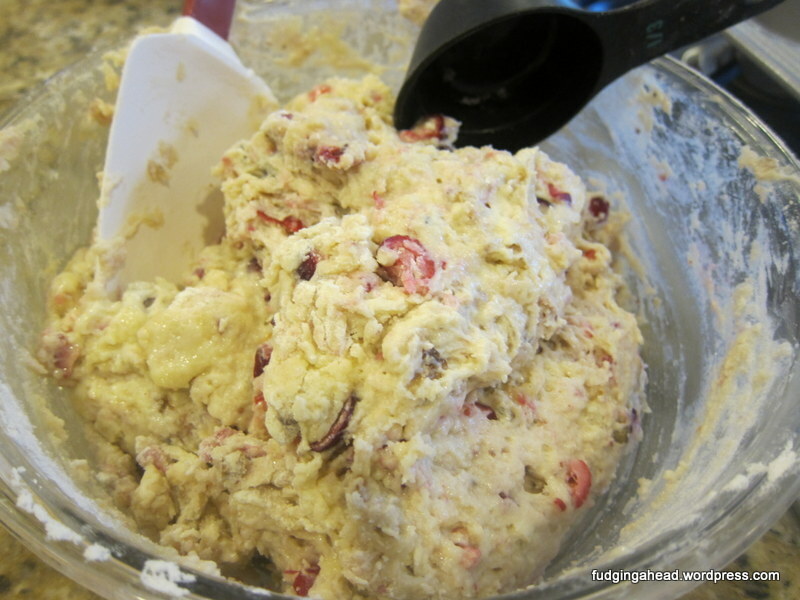 Then fold in the melted butter, cranberries, and walnuts. 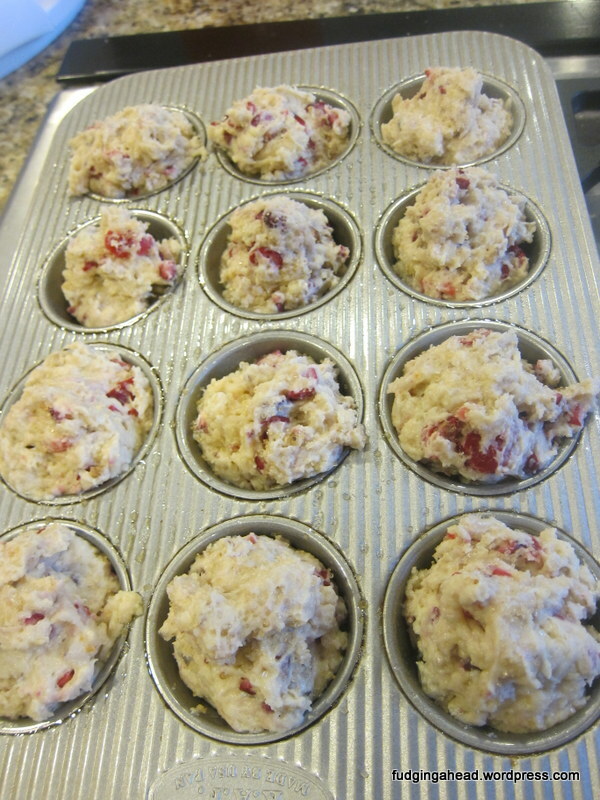 When everything is combined, use a 1/3 cup measuring cup to help portion out the muffin batter into the muffin pan. Or, use a muffin scoop if you have one. 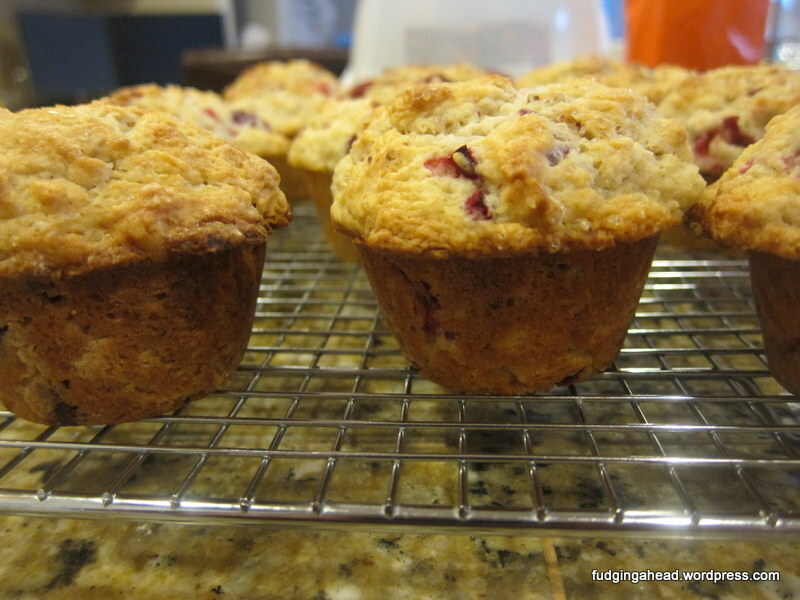 Whatever batter remains after filling each muffin well, divide evenly among the muffins. Top each muffin with a bit of turbinado sugar, if desired. Bake until a toothpick or cake tester comes out with a few crumbs attached, about 25 minutes. Rotate the pan halfway through baking, and feel free to check the muffins starting closer to 20 minutes, just in case. I don’t want to make you jealous, but our cottage is in one of the top cranberry-producing regions of the world. I could get you a big giant bag! I might have to get myself one so that I can try some of your lovely golden-looking muffins.